This is priced as an Explore! Safari. 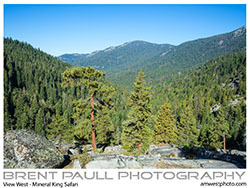 Mineral King is an area about 25 miles southeast of the main part of Sequoia National Park. It was added to the park in 1978 after it had become a summer area with cabins and roads. A mining and hunting area in the late 1860's, and at one time considered by Disney as a ski resort area in 1965, the cost of building a road over the mountain and along the East Fork of the Kaweah River proved too expensive. The Mineral King area is gorgeous high country, doted with old mines and high alpine lakes, with trailheads leading off in different directions and a Ranger Station that monitors the campgrounds and hiking permits. When white men first discovered the valley in 1863 they called it "Beulah" or the biblical land of beauty. 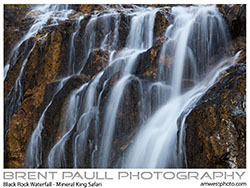 Sequoias grow in groves in the area, and the beautiful Black Rock Falls tumbles from Empire Mountain. 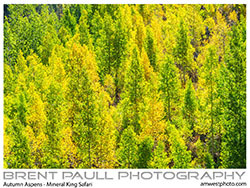 In 2016 the National Park Service hired me to photograph the Mineral King area along with the Cold Springs Nature Trail. Wildflowers, butterflies, songbirds, mule deer, and black bears all call Mineral King home. 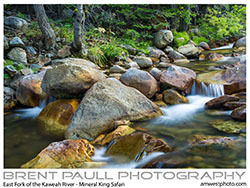 We meet in Three Rivers at 6:00am and head up the road to Mineral King, photographing landscapes along the way. Layered clothing, hats, and bug repellant are needed. We take our lunches, and return to Three Rivers around 4pm.